I gave birth to Ellis Grace on February 17, 2016. 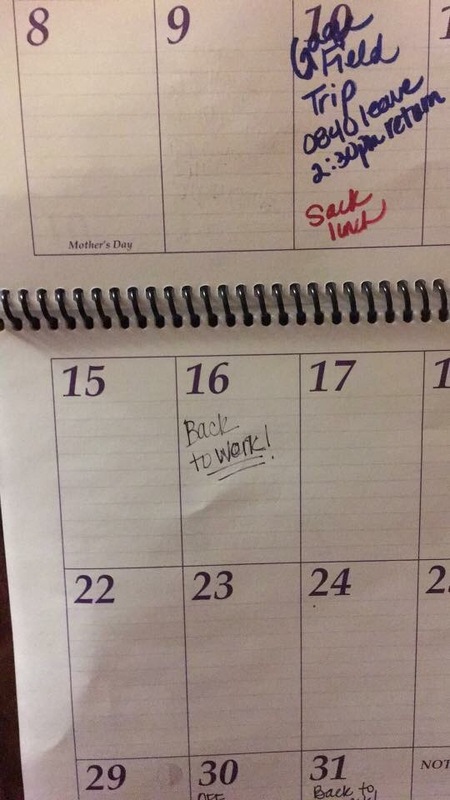 My return to work date was May 16, 2016. My maternity leave extended two more weeks into a bereavemeant leave that ended around the first of June. I will soon be posting what it was actually like to return from maternity leave without a sweet baby at home. But for today I will just share where my heart was this time last year as the date passed on the calendar. And as I remained at home in the very hard work of grief. Today is a “suppose to” day. I was suppose to go back to work today and I was suppose to have a beautiful baby making me burst with joy . I was suppose to be praying for the strength to make it nine hours without her. . .
And what was supposed to be – – is not what is. I will not return to work today. Because this isn’t a happy day where I tell stories about what it’s like to have a princess come live among dirty farmers. That milk I was saving and squeezing out of my very soul is likely already part of another baby. . . A baby whose life number probably goes into triple digits and beyond. And so I enter a seasonal shift. What was supposed to be will have to be experienced as what actually IS. And this whole season will feel like it’s not supposed to feel this way. And I won’t quite feel like myself because I’m not who I was “supposed to” be either.. . Who I thought I would be. I praise God that I am reconciled. But there’s quite a gap between Reconciliation and Restoration. And My God means for me to be restored. And if you are in a season of “suppose to be” – – He means for you to be restored too. . .
We have to know that things are just as they should be. That he is working,creating, and building. If we hurt, it’s only because we are too human to understand the complexity of a divine plan. We just need to stay on board and buckle up for the rough part of a righteous ride. For we will reach our destination. And the sign says RESTORATION AHEAD. ❤️ Thank u for sharing.